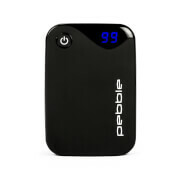 The powerful Veho Pebble Verto portable battery charger is the must have accessory to keep all your mobile devices full of charge. 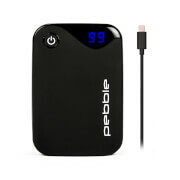 It packs a 3700mAh which is over 2 times the regular battery of the Apple iPhone or Smartphone which means it will keep your devices on the go and you won't have to worry about running low on juice. 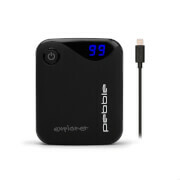 Simply charge your Pebble Verto up via USB and use the various adapters to keep all your mobile devices charged up. The Pebble Verto has a new smaller ‘credit card’ sized footprint perfectly portable and comes with 4 tips, charging cable and funky neoprene pouch to carry it all. Please note that this product doesn't include the Apple Lightning connector.